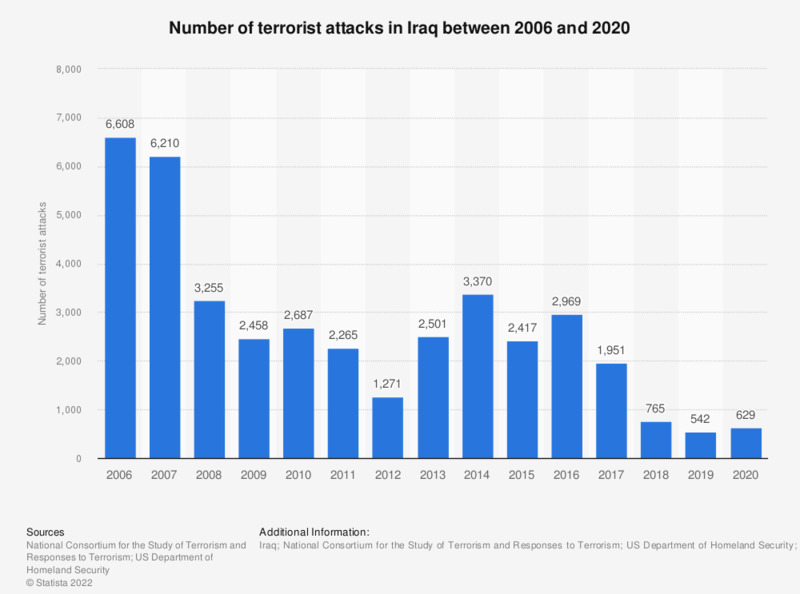 The statistic shows the number of terrorist attacks in Iraq between 2006 and 2017. In 2017, around 1,951 terrorist attacks were recorded in Iraq. In 2017 Iraq was also the country with the most terrorist attacks and the second most fatalities due to terrorism worldwide. 4,269 people died due to terrorist attacks in Iraq in 2017. Data for previous years can be found here: Country Reports on Terrorism. Does the fear of terrorism affect your travel plans? At the present time how worried, if at all, are you personally about flying on airplanes? How confident, if at all, are you that Britain's security and defense services can prevent attacks in the UK similar to those in Paris?